Sometimes you just fall in love with a location. In the case of Gustavo Minas, it was a bus station in a new city he had just moved to. Bursting with life and incredible light, Rodoviária do Plano Piloto in Brasilia, the capital of Brazil, has been his favorite playground since 2014. An ongoing project that is really quite mesmerizing, "Rodoviária" is a series worth exploring beyond the surface. I had a chance to chat with him recently and it was great to hear more about the work. 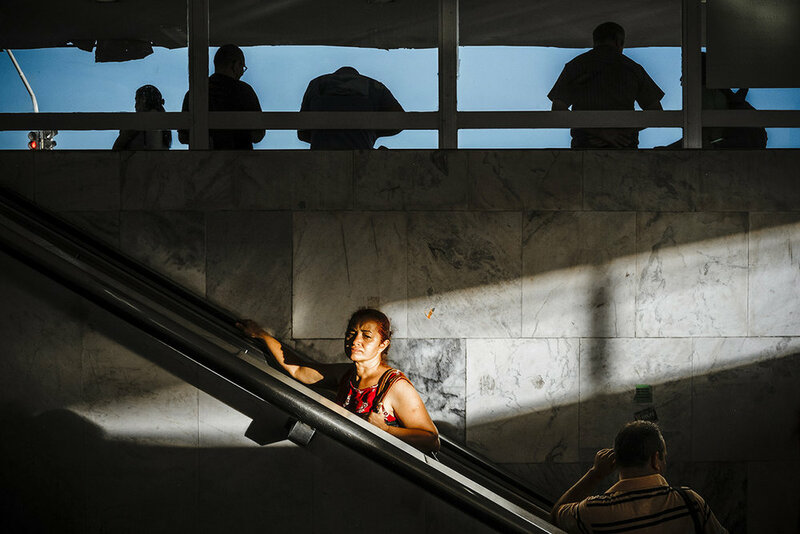 One million people pass through the Plano Piloto Bus Station in Brasilia daily. The terminal, located only a couple of kilometers from National Congress, is a meeting point which connects the Brazilian capital and its satellite cities. This constant crowd is an exception in a city full of empty spaces and alienating streets, little prone to interaction among its inhabitants. This series is a portrait of all these passengers, often immersed in moments of solitude and anticipation amid the chaos. The project wasn't planned. When I moved from São Paulo to Brasilia in 2014 I was looking for busy places to shoot, as Brasilia is generally empty of people. On my way to the satellite cities, in the surroundings of the capital, I'd often pass by the bus station, and soon I realized that there was the oasis of busyness, motion, people and energy I was looking for. It's not that I want to communicate something, but I guess it shows another side of Brasilia, a messy and chaotic Brasilia, more lively than the rest of this city planned and built to be the government center of Brazil. Also, there's an interesting contrast between the station and the architectural order and boredom of the Esplanada dos Ministérios (just 2km away), where all the civil buildings are, including the Congress and the presidential building. Though the series has been exposed physically and published over the internet, it's a place I'll always go back to as long as I live in Brasilia. Anyway, there's a lot of construction works going on, so the scenario always changes. Also, I like to observe how light changes along the seasons, illuminating different areas of the space as months pass. And there's a thing about long-term projects: they force you to see things differently. As time passes, you need to find new ways to photograph the same things you shot before. It's a great exercise. I confess I'm a bit tired of shooting there now, and I'm doing my best to avoid it, but sometimes it's just too tempting, as I know that I'll always find raw material in there. Through Rambles I hope people become inspired to make long term projects, so I would love to know how you approach yours. Your work is usually categorized by places, is this usually planned? Or how does it happen? I don't usually pick places consciously, it just happens. Most of my projects come from wanderings with no preconceived ideas in mind. I love single images, but now and then I look back at my archives and try to organize them in series, and yeah, they're generally about specific places. It's nice collecting a set of images of certain places over years, and see how the place changes, and how your approach and photography evolves too. Bio: Gustavo Minas was born in Cássia (MG, Brazil) in 1981. He graduated in journalism from the State University of Londrina and studied language and history of photography with Carlos Moreira inSão Paulo. 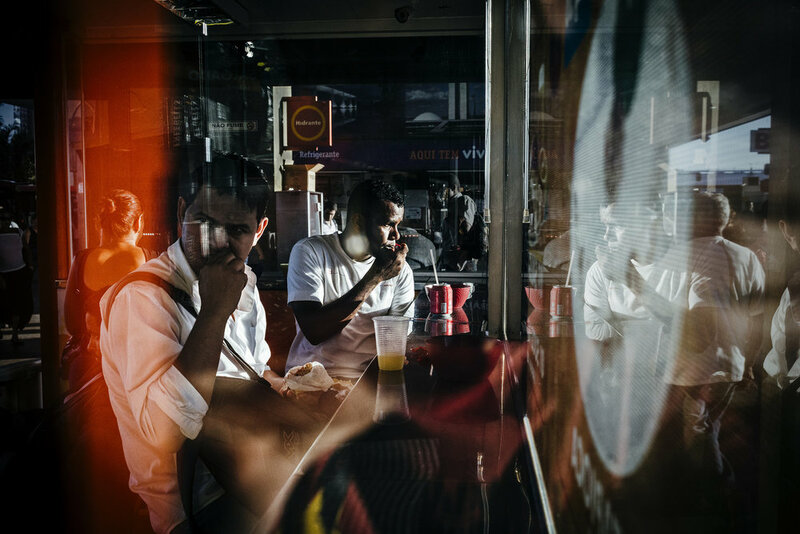 Since 2009, he has photographed the daily life of the cities where he lives. 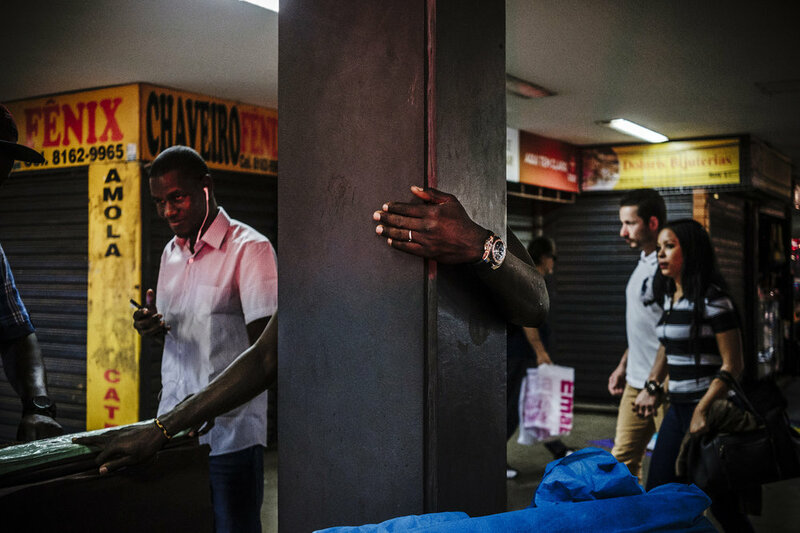 He currently works as a journalist and freelance photographer in Brasilia. In 2017, his 'Bus Station' series won the POY LATAM award in the category "The Future of the Cities". And while you're at it, don't forget to follow Rambles on INSTAGRAM!